games designed to challenge your mind and exercise your brain. When it comes to Sudoku, we have it covered. See for yourself why over 80 million puzzles have been served since we started in 2005. Like variation? 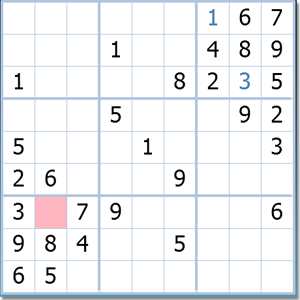 Try our 5-grid Samurai Sudoku, or if thats too easy, there is the unique 7-grid Shichi Sudoku, or maybe give Killer Sudoku a go. Or, for your competitive side, there's Sudoku Points where you simultaneously solve the same puzzle as others. We have word games galore. Try the very popular Word Ruffle and Word Ferret - alone or with others. Or if you like Scrabble type games, we have Speed Cross or Word Mesh. For crossword style games, try solving a CodeWord or an Acrostic or the classic Word Search. Card player? Try the nine popular Solitaire games such as FreeCell, Eight Off, Klondike and Yukon. Play Minibridge - great way to get into Bridge or hone your card playing skills as a Bridge player. Or try your hand at a game of Hearts, Spades, Whist or Crazy Eights. 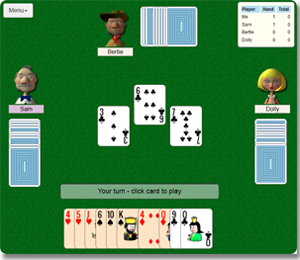 Or something different: Nertz - a fast paced multi-player solitaire. Really stretch your brain with other great logic puzzles like Yubotu (Battleship Solitaire), where you need to logically work out where the fleet of ships are located in the grid. How about Suguru or Towers? - great number logic puzzles. Or try Nonograms, Tents, Hitori, Pearls or play a game of Merels against the computer. 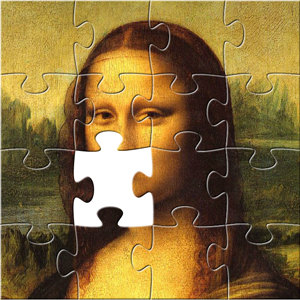 Solve over 4000 jigsaw puzzles online or create your own. Many features including choice of pieces, rotation and full screen mode. Participate in daily challenges including the fun mystery challenge where you do not know what the picture is. There is an assortment of other types of games, too. Or maybe a game of Mahjong or the popular derivative Shisen. Try the match-3 style game Triplets or train your memory with the concentration style Pairs. Can you beat the computer (or others) at Gomoku? - simple rules but challenging.